Wellness coverage is an option. Veterinary Pet Insurance, also known as VPI, was founded in 1982. The company was acquired by Nationwide in 2015 and is now commonly known as Nationwide Pet Insurance. Nationwide is our top pick for Best Pet Insurance For All Pets. It is the only pet insurance provider on our list that doesn’t limit its coverage to just dogs and cats. In fact, it covers most types of birds, as well as reptiles, lizards and even snakes! Fun fact: VPI sold a pet insurance plan to Lassie! Read our Nationwide Pet Insurance review to learn more. Nationwide offers three different pet insurance plans in addition to its exotic pets plans: Whole Pet With Wellness, Major Medical, and Pet Wellness. The Whole Pet With Wellness plan is similar to traditional pet insurance companies and reimburses you a percentage of what you paid the vet for treatment. The Major Medical plan, however, has a maximum it pays for various conditions. This plan uses a benefit schedule to outline these maximums. No matter how much your veterinary bills may cost, you will never be reimbursed past the stated maximum. Exotic pet insurance: If you have an exotic animal and want health insurance for it, Nationwide is both the best option and one of the only options. 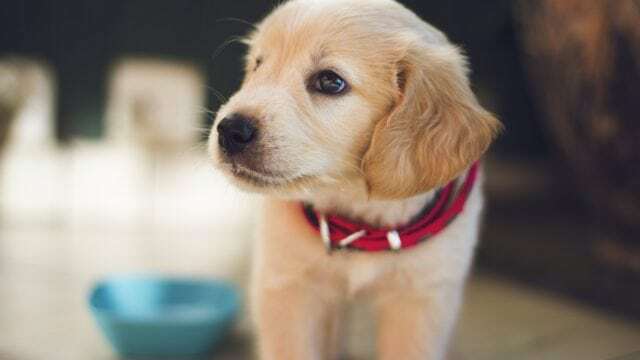 One of the least expensive pet insurance providers: If the cost of monthly premiums is the most important factor for you when comparing pet insurance plans, Nationwide is a good choice for you. Nationwide offers some of the best rates around. Submit claims through your smartphone: Like most pet insurance providers, Nationwide has an easy-to-use app. You can submit your claim both via the app and online, rather than have to deal with collecting paperwork and mailing them in. However, you can still mail in claims if you prefer. Track claims in real time: There’s nothing worse than filing paperwork for reimbursement and having no idea where it stands or when you’ll receive your money. Nationwide’s app allows you to track your claim in real time. You’ll know exactly what the status is of your claim and when to expect your reimbursement. 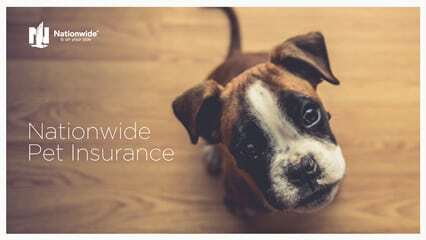 Unlimited claims for some plans: Nationwide offers unlimited claims for Major Medical and Whole Pet With Wellness plans. Unlimited claims mean no annual or per-incident limits on claims. If your pet racks up $50,000 in bills in one year, Nationwide will reimburse you. Some pet insurance companies have limits in the $2,000, $5,000, and $10,000 range. Cannot track claims in real-time online (mobile only): If you have a smartphone, then this is a non-issue for you. However, if you do not have a smartphone and want to track your claims in real-time, you will not be able to. High number of customer complaints due to delayed reimbursements: This is a strong negative for us. We like reimbursements to come as quickly as possible. If you’re in the same boat, then perhaps Nationwide is not the best pet insurance provider for you. History of raising monthly premium rates as pets age: This is, unfortunately, a negative for many pet insurance companies. If you want to ensure your pet insurance company does not raise your rates due to your pet’s age, then Nationwide is not the best pet insurance company for you. However, please be aware that other factors such as veterinary inflation rates can cause annual raises. Not BBB rated: Nationwide is not rated by the Better Business Bureau. While this is not necessarily a negative, it makes it harder to get a good Nationwide Pet Insurance review. Additionally, Nationwide is the only pet insurance provider on our list that has not been rated by the BBB. Wellness plans are not available in all states: Wellness plans are what cover routine and preventative veterinary care. Most pet insurance companies exclude wellness plans or offer them for an additional fee. If this is something you are concerned about, contact Nationwide to see if wellness plans are available in your state. Claims: Claims must be submitted within 90 days of treatment. These claims should be paid within 30 days of when all the documents have been received by Nationwide. You can submit claims by fax, the mobile app or mail. Hip Dysplasia: This condition is covered after a waiting period of 14 days. However, it does have some exclusions. 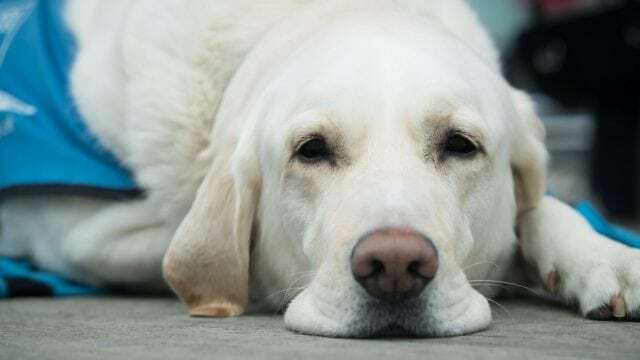 They do not cover joint or bone conditions associated with elbow dysplasia, hip dysplasia, patellar subluxation or luxation, any issue associated with aseptic necrosis of a femoral head, or osteochondritis dissecans. Underwriter: National Casualty Company (outside CA); VPI (in CA). This underwrite has an A.M. Best rating of A+. Waiting Periods: This company has a 14-day waiting period for Whole Pet With Wellness and Major Medical plans. However, the Pet Wellness program only has a 24 Nationwide has a 12-month waiting period for ACL surgery. Unlike many of the other pet insurance companies, PetFirst provides coverage nearly immediately for accidents. 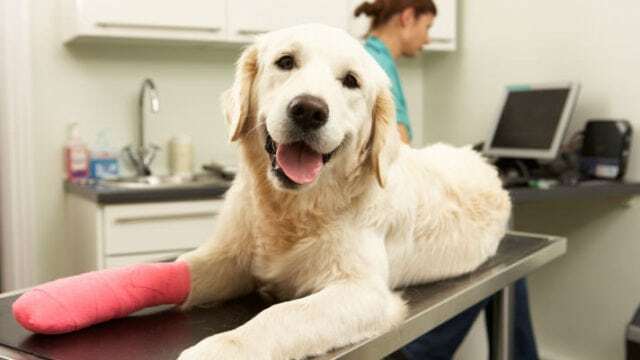 Nationwide Pet Insurance defines pre-existing conditions as anything that began or showed signs of a problem up to 12 months before the policy began, whether the condition was discovered and treated or not. A chronic condition is a pre-existing condition unless it began after the policy started. Unlike most pet insurance companies, Nationwide’s website doesn’t list everything that is and is not covered under its plans, so we cannot include a full list in our Nationwide Pet Insurance review. Instead, we will highlight the basic plan types. Make sure to carefully review each plan before selecting one. Nationwide’s Major Medical pet insurance policy is less inclusive than its Whole Plan With Wellness policy. The Major Medical plan has a set limit for each condition regardless of the actual cost of treatment. This plan uses a benefit schedule to outline these maximums. For a full list of what is not covered, please refer to Nationwide’s plan restrictions. Exclusions differ greatly depending on which plan you select. We will list the most common exclusions in our Nationwide Pet Insurance review. The exotic pets plans have the same waiting periods as the other options. To get an exact price for your pet, refer to Nationwide’s quotes page. In our Nationwide Pet Insurance review, we found that Nationwide is among the least expensive pet insurance companies on our list, which is a plus. However, they have a reputation for raising monthly premium rates as pets get older, which is a major negative. We also read numerous complaints from existing customers about reimbursements coming in late. While the company does have a few negatives, it also boasts positives, among them its Wellness Plans. Most pet insurance providers do not reimburse you for routine exams. Alternately, if they do offer a wellness plan, it is only offered as an add-on to a more comprehensive plan. Nationwide allows you to purchase a simple Wellness plan, no strings attached or hidden requirements. If you have an exotic pet, we highly recommend Nationwide. Our Nationwide Pet Insurance review also found that if you are looking for a cheap monthly premium and are okay with a lengthy reimbursement process, then Nationwide could be the best pet insurance company for you. However, if you prefer speedy payments, we recommend you look at pet insurance companies with a better track record. Do you have Nationwide protecting your pet? Leave a Nationwide Pet Insurance review below!